Alanis Morissette. She spoke for us all. She was a prophet of our generation. She owned the revenge song before Taylor Swift said that we are never, ever, ever getting back together. She let out a primordial wail in "All I Ever Want," and it set the tone for the entirety of her 1995 masterpiece Jagged Little Pill. It's hard to believe it's been 20 years since the album debuted, and yet here we are. 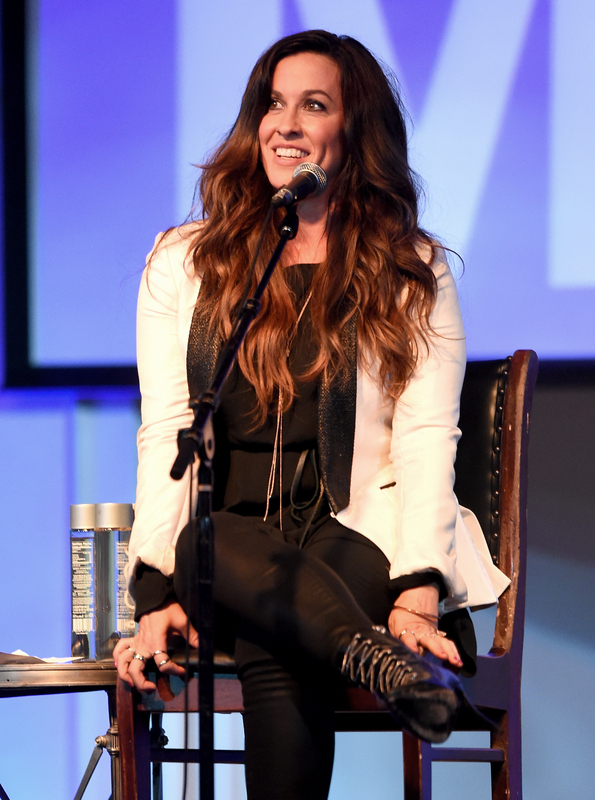 Earlier today, Morissette announced a new anniversary collection of Jagged Little Pill containing four discs of material from the album and related demos. The first disc will be a remastered edition of the original album; the second previously unreleased demos; the third an acoustic edition of Jagged Little Pill; and the fourth an unreleased recording of a 1995 concert in support of the album. The collector's edition of Jagged Little Pill will also include a book of photos and Morissette's reflections on recording the album and background on the new demos. With titles like "The Bottom Line," "No Avalon," and "Comfort," I have no doubt they'll fit in just fine with the old material. But there's something to be said for the nostalgia factor of revisiting the original album (which I'm doing, right now, very loudly). So in honor of the album's anniversary, and to prepare for the collector's edition release, here are the most nostalgia-inducing lyrics track-by-track off Jagged Little Pill. Did You Think About Your Bills, Your Ex, Your Deadlines / Or When You Think You're Going To Die? Part of what's so awesome about Morissette's lyrics is they're rarely self-pitying. Instead, they're other-pitying. They're invariably quite scathing indictments of the guy on the giving end of the heartbreak, and "All I Really Want" is no exception. She never sells herself short — she asserts herself and her pain and emphasizes that she's allowed to be angry, resentful, cruel, jealous, and that only makes her human. And if you're not already singing along to "You Oughta Know," what are you doing, really? Part of Morissette's legacy is the way that she normalized a woman's sexual empowerment. Though this lyric from "Perfect," a plea for trying a little harder in the relationship, doubles as a not-too-disguised euphemism, the nostalgia's just in remembering that she made it alright feeling all of these feels. Truth be told, I spent a lot of time as a kid analyzing these lines from "Hand in My Pocket" (just like I took great pride in deconstructing "Ironic"), trying to figure out how these were oppositions. I'm still not sure they are, but the opening bars of the song still immediately take me back to soccer practice and summer camp. Even when she's in love, Morissette still puts the blame on the man. (It's awesome.) "I couldn't help it / It's all your fault," she sings in "Head Over Feet." It's incredible how many of the songs off this one album were on constant radio rotation — and still are. No, it's not really ironic. But that doesn't make the song any less catchy, or less significant. It should already have replaced "You Oughta Know," as far as what's stuck in your head right now. Part of the amazing legacy of Jagged Little Pill is the way that Morissette normalized a woman's sexual empowerment. She's like Taylor Swift disguised as a little ball of fury. Jagged Little Pill, as its name implies, doesn't go down easy. It speaks its mind — and that's why it has remained relevant even 20 years on.